The Centre Pompidou in Paris is paying tribute to filmmaker Chris Marker from 16 October until 16 December. Not only through his films, but also by exploring the path of his inspirations, friendships and encounters.. Chris Marker collaborated with his friend Joris Ivens for various projects: …a Valparaiso, Rotterdam Europort, Le ciel, la terre and Loin de Vietnam. On 23 november the restored version of Loin de Vietnam (Far from Vietnam, 1967) will be shown. 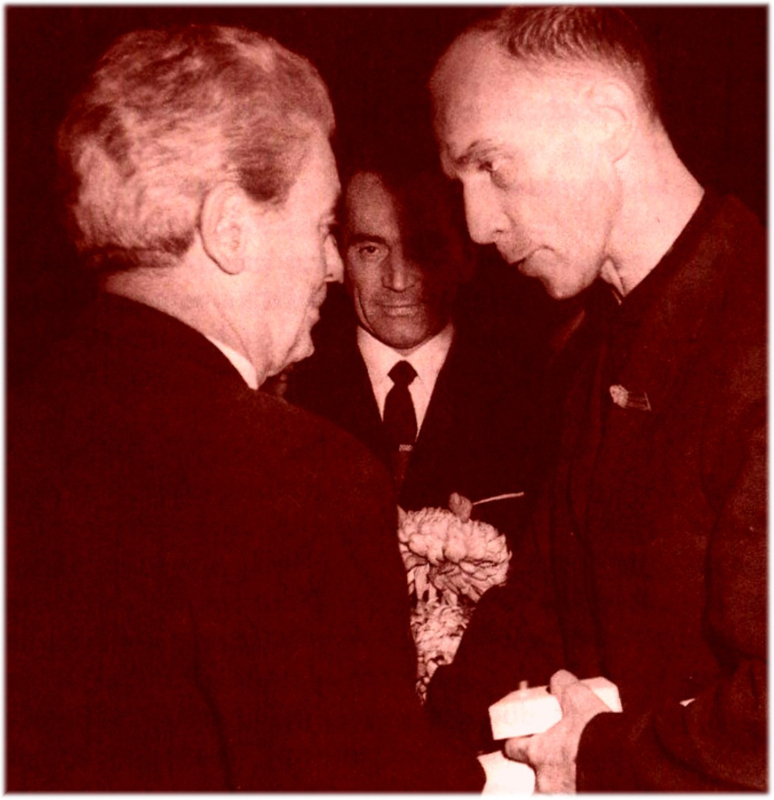 Joris Ivens and Chris Marker in Leipzig, 1963. Coll EFJI. `There are `century-class men` and `world-class men` - and Chris Marker was one of them. He was born in 1921, shortly after the First World War, `the founding moment of the last century, and its source` (he devoted his 2005 video installation The Hollow Men to it), and was very much involved in the Second, starting off as a member of the Resistance, then enlisting in the American army. Chris Marker lived in a world haunted by the fear of a Third World War, which he looks forward to in his most famous film, La Jetée, the first film composed (almost) solely of still images, haunted by phantoms of the world of concentration camps. 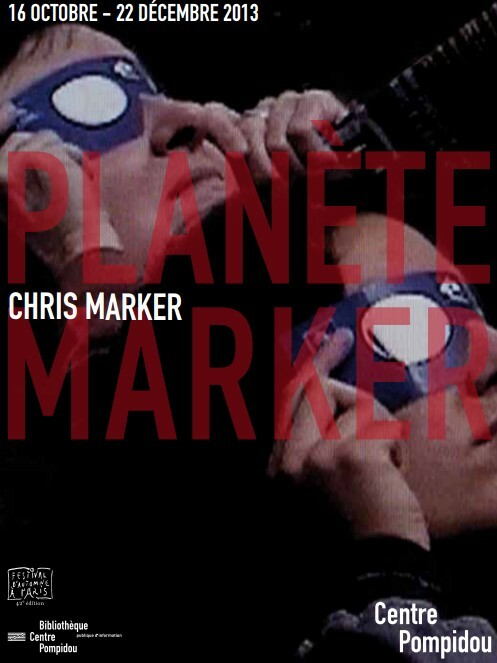 Chris Marker was a photographer throughout his life, and started out as a poet, novelist, essayist, literary/ film critic and editor at the Éditions du Seuil, where he invented the `Petite Planète` illustrated critical guide collection. He became a film-maker in the early Fifties with a film on the Helsinki Olympic Games, and collaborated with Alain Resnais for Les statues meurent aussi, a documentary essay on Black Art and colonialism long banned by the censor. Marker went on to make at least fifty films in all formats: feature-length, short, very short, and very long. And under various pseudonyms, or more or less anonymously, he generously contributed to many other films by friends and colleagues. All his films have a constant political commitment in common, a tireless, encyclopaedic curiosity for all forms of reality and culture, and an unfailing love of animals, especially cats. He turned his cat, Guillaume-en-Égypte, into an avatar who served as his spokesman, from the creation of his CD-Rom Immemory, 1997-1998, right up to the virtual archipelago he later invented for himself in `Second Life`. But above all, to construct his films, Chris Marker came up with a unique way of relating the texts he ceaselessly wrote with the images he collected throughout the world – both images shot from life and excerpts from multiple archives. André Bazin, in his commentary on Lettre de Sibérie (1957), called this `horizontal editing` in order to describe the way he felt Marker edited his images: not shot-by-shot so much as `laterally, in a way, to what is being said about them `. The result was an inseparable meld: a primordial condition for this form of subjective essay. Marker was one of the great inventors of this genre – perhaps the greatest, continually subjecting the documentary approach to the fictional part that enabled him to develop his thread, while always talking to the `other `– his virtual reader/viewer – as though to a fully alive being.